Custom-designed cellars in California that are built by a professional are the most ideal structures to store wines. The material used for insulating the space is vital to its functionality and effectiveness. Unlike most beverages, wine is very sensitive, and it needs to be stored in the ideal conditions for its quality to be preserved. Wine storage experts, like US Cellar Systems, highly recommend having a custom-designed cellar built. Avid wine collectors and trusted storage builders know that for a wine room to be effective in providing the right temperature and humidity, dependable insulation must be installed during its construction. There are three popular choices of insulation materials in California. Wine storage experts in California strongly recommend using a material that can provide your cellar with R-13 insulation, which is the minimum value required for wine rooms in California. Fiberglass batts can provide your wine storage space with R-13 insulation at an affordable cost. Fiberglass batts are a good choice for cellar insulation. They can provide your wine room with the minimum required insulation for cellars, which is R-13. This material is the least expensive type of the three most popular choices. However, if fiberglass batts are poorly installed, their capacity to insulate are largely reduced by 25 percent. If you want to use this option for your cellar, make sure that you hire an expert to install the material. If you plan to have fiberglass batts installed, make sure that a 6 mil plastic vapor barrier is applied to all of the cellar’s warm side. Most wine storage contractors wrap the entire interior walls and leave the plastic sheeting loose in the stud cavities. They then place the fiberglass batts in between the studs. It is imperative to wrap all of the wine room’s walls, ceiling, and floor in plastic sheeting, which is necessary to create an effective vapor barrier. Planning to have your custom cellar built? Consult a wine storage specialist today! Click here! Rigid foam boards are an effective wine cellar insulation material. This is another good option for those who are on a tight budget. Make sure plastic sheeting is applied to the entirety of the cellar walls, floor, and ceiling before any rigid foam board is installed. Polystyrene, commonly called rigid foam, is the better option compared to fiberglass. Two layers of this insulation material can provide your cellar with R-19 insulation. Make sure that each layer is, at least, an inch and a half thick. 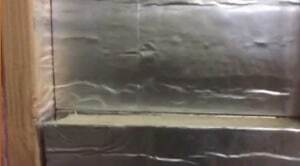 Just like in the installation of fiberglass batts, plastic sheeting needs to be applied to the walls, ceiling, and floor before rigid foam can be used. A lot of people choose rigid foam as their cellar insulation material because it is affordable and easy to install. The problem when using this option is if there are wires, conduits, and pipes that need to pass through the wine storage room’s wall. 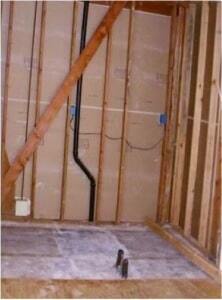 It is important for all sorts of wiring and piping to be wrapped in rigid foam. Some contractors cut pieces of polystyrene and wrap them around the wires and conduits. They then spray polyurethane foam to the gaps. What is the best insulation material for your custom cellar? Ask a wine storage specialist today! Click here! Polyurethane spray foam is the most effective wine cellar insulation product in the country. If this material is correctly applied, there is absolutely no potential for vapor to penetrate the room. Hire an expert spray foam technician in California to install the product for you. 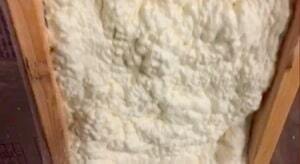 Wine storage experts in California highly recommend the use of closed cell polyurethane foam for cellars. It is the best material for insulating wine rooms. If correctly installed, three inches of spray foam can provide your custom cellar with R-19 insulation. With this product, there is no need to install plastic sheeting because when the foam skims over, it forms its own vapor barrier. Polyurethane expands and fills cracks and crevices leaving no gaps. In cases where some wires and pipes need to pass through the cellar wall, spray foam efficiently creates a tight seal around them. There is no chance for vapor to penetrate this insulation product. Learn more about polyurethane spray foam today! Contact a wine storage expert now by clicking here! US Cellar Systems is one of the leading manufacturers of wine storage refrigeration units in the country. They have also teamed up with the top wine cellar construction companies in the country. Together with their partners in the industry, they create effective and dependable wine rooms for residential and commercial purposes. If you’re planning to have a custom cellar built, you should call them for a consultation. Although US Cellar Systems specializes in manufacturing robust refrigeration units for wine storage structures, their many years of experience in creating effective and dependable wine rooms have given them sufficient knowledge of the requirements of building a quality cellar. 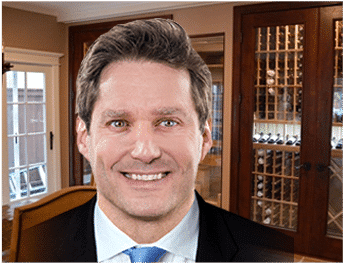 If you’re planning to construct a custom cellar in California and want to learn the basics of wine room construction, you should get advice from them! Click here to watch their tutorial videos! Trust only a professional custom cellar expert to build your wine storage room! Contact US Cellar Systems today at +1 (562) 513-3017!